Well, another NAFA Leadership chat has just come and gone. If you weren't there, you didn't miss much. It was the same as pretty much any other Leadership Chat. A few people asked a lot of pointed questions (mostly about NAFA's CanAm tournament), and Lee Heighton (Executive Director) and a few of the board members responded to them. Answers ranged from vague to reactive to everything's-awesome!-but-we-can't-give-you-details (or we'll have to kill you). I'm not going to quote anything from the chat in here, I'll just let you all read it for yourselves in the transcripts, which they say will be posted to the NAFA website in 48 hours. I didn't post during the chat because it was all just so frustrating. I know I keep imploring you all to get involved, but today I just couldn't do it -- I had little confidence in getting any response other than the party line. Actually, I did try to chime in once (somebody asked when the bid request was posted to the NAFA website for the judges videos that are finally getting made -- it was 2005, by the way, when they first decided to make those things) and when I tried to reply I was censored and placed on gag status because I didn't sign in to the chat using my first and last name. I know...I'm not Madonna or Cher...it was silly of me to think that LisaP would suffice. It was sort of funny, though, that they let somebody else with their first name and last initial post something POSITIVE -- i guess gag status is just for the negative crap. Anybody else have any impressions of the Leadership Chat? Maybe different impressions from my own? I might just be old and jaded, or in a particularly cranky mood because of my new low-carb diet. Actually I believe the person's positive comment (the one who was firstname initials) will be stricken from the transcript. That person also felt they were well known enough so that it shouldn't have mattered. I wanted to sign on with just Leerie (I only know one other one, my dad, and he was here visiting this weekend), but in order to post, the rules said we needed to provide firstname lastname. I thought the chat was not so exciting either Lisa. I wish we had more to report at this time. It has been 2 months since the AGM now. There are quite a few items slated for approval or a deadline by the May board meeting. I feel like most people who are interested know exactly what the board and committees are working on presently. I am definitely the "I'm really excited but it would be inappropriate for me to comment" person. Like I mentioned to you privately Lisa, I am of the practice of trying to actually do something, accomplish something, and with the approval of the board, be able to say "TADA, here is X, done and ready for public consumption!" I will be really excited to talk about sponsors, for example, once they are ready to be announced. For me to comment on ongoing negotiations would definitely be a bad idea. I mean even from the "I don't want to jinx it perspective." And I can't speak for the whole board. I am just one of a bunch. I don't consider that towing the party line, but rather being a responsible member of the BOD. Or a committee. As you know Lisa, almost everything goes through a committee who makes an recommendation to the board, and a decision is made. I take the job really seriously and hope people will be happy with the results. Time will tell. Today was my first-ever participation in the NAFA Chat, inspired by my genuine outrage over the financial losses the 2007 and 2008 CynoSports posted, and the $20,000 loss incurred by the 2009 Can Am. I view this as fiscally irresponsible on a pretty big scale and expected some answers. The astonishingly evasive non-answers to my and others' questions had some of us shaking our heads in disbelief. This is about simple financial math. Hard data with rules. Can't be fudged or sentimentalized. We've been tournament hosts writing those checks back to NAFA, trusting that the money was needed to run the organization and would be spent responsibly. I corresponded with Board members privately and again today on the chat and feel the response was a sort of arrogant, "back up Jack -- we make the rules here!" attitude. We've been made to feel as if we have quite a bit of nerve holding the board's feet to the fire on details of how all of our money was used for these particular events. Seriously, I didn't hear anything today to give me confidence that concrete plans are in place to even set a realistic budget, much less stay within one. Answering questions about the 2010 budget with vague statements like, "based on last year" when we know costs will likely be radically different is laughable at best. Twenty thousand dollars is a lot of money to lose on one event. A miss that big is poor stewardship of organizational funds. Leerie, we've co hosted tournaments and you have seen the specificity we applied to budgeting for a regional event. Not having at least that level of detail is unconscionable. I said it on the chat today, and I emphasize it here; the board has one more chance in 2010 to get this national flyball convention back to break-even. Another year of results like last year's and I may be ready to instigate a NAFA version of a tax-payers revolt. If you spend like drunken sailors we all wake up with the fiscal hangover. ruthVW: With the success of the Livestream, if we had banners around the rings the sponsors would have constant exposure. nancy.garcia: Ruth, you are right on target as that is exactly what we are offering to the potential sponsors at various levels they would get thier names on backstops and ads on the livestream. moderator: not sure why - did it give a message? moderator: I didn't set the rules but I'm asked to follow them. ..end of quotes. It is sad that the NAFA BoD feels the need to "police" even positive posts to a interface paid by NAFA funds. I used the same sign-in I did at candidate chat, I wasn't hiding my identity. The BoD needs to be reminded just who owns NAFA. WE DO, and censorship is not a trend that should continue....especially after losing 20,000 on 1 event and they choose to "gag my post"? I was making a positive suggestion/comment for sponsors to consider. That reaction was rediculous and over the top. They seem more worried about my last name then losing $20,000. ...and as Zack posted at the chat the books should be open on where all this money was spent. Flyball participant for 30 years! the fact that positive comments were gagged in accordance with the above guideline shows that it WASN'T just to shut people up who have negative things to say. what is so hard about standing by your comments with your first and last name? You're right, the name thing is pretty insignificant compared to all the stuff Jeff brought up. Signing in like that yesterday was reflex vs evasion, it's just the way i've always signed in to a NAFA chat, even when i was on the board. Obviously i'm not afraid to post my name in general and go public with my opinions, or we wouldn't be sitting here on this blog having a conversation. The issues around CanAm budgeting/plans was the real elephant in the room. I'm pretty sure they will strike the line from the transcript where Jeff said something like "Lee, trying not to laugh here. Not succeeding." Nope. That won't be stricken. You are right, the rules clearly stated that you must have your first and last name listed for your questions/comments to be published. These have always been the rules which over the years have never really been enforced. So, people have been trained to sign in and be able to comment. Everybody knew who everybody else was. The moderator has always had the ability to give people "warnings" about behavior before consequences were enforced. "Warnings" help to shape behavior and allow us to "learn" what is expected of us. That is what "Super Nanny" would do. It's the way our dogs get trained. Reinforce good behavior and ignore unwanted behavior. Do you think the potential sponsors that signed into the chat were impressed? (and, yes, they were there. NAFA players who happen to own businesses) Common courtesy was sacrificed and reasoning that it was just enforcing "clearly stated rules" does not justify rudeness by NAFA Officials. courtesy (which last night in chat was certainly not common) should be given if you expect to receive it. the comment "i'm trying not to laugh but not succeeding" is certainly not courteous. getting sarcastic is never productive, it just turns people off. when you act like child throwing a tantrum, i don't think you deserve much attention. why should Lee saying "we received lots of positive feedback from the can-am" be laughed at? Personally, i heard GREAT feedback from all the clubs i know who attended. He didn't say "we've received NOTHING BUT POSITIVE FEEDBACK" did he? some individuals having a different opinion than that is fine, but that doesn't invalidate those positive responses. The people who worked their tails off at the can-am last year just got elected to the board. i think that shows that they have quite a bit of support from the community. As far as potential sponsors opinions....I'll say that if i was a sponsor in negotiations with NAFA, i would be furious if NAFA made announcements about my sponsorship before an agreement was reached. Nancy listed LOTS of avenues she and the marketing committee are pursuing, but do you really expect them to name "Company A, $xxxx" when negotiations are still ongoing? that doesn't seem reasonable to me. I didn't think Jeff's comment was inappropriate at all under the circumstances. Read the transcript when it comes out, it makes a lot more sense in context. Since you weren't actually participating in the chat, I can see how you might jump to the conclusion that people were being sarcastic and throwing tantrums, but it wasn't like that at all. They were just asking very matter of fact questions, and getting the runaround. I know the folks representing NAFA can't just say, "Hey everybody, here are all the potential sponsors we're going after, whaddya think?" I don't think people really expected that. 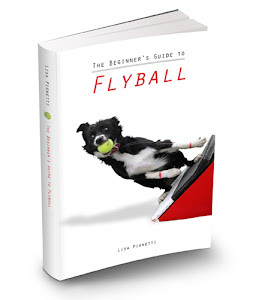 They did, however, expect answers around the CanAm budget and plan, and how NAFA planned to proactively engage the flyball community from a communication standpoint. I'm sure CanAm was awesome. I mean come on, they spent like $60,000 on it. It was probably a kickass tournament. I hope I get to go this year. From my perspective, a contributing negative factor regarding communication between NAFA leadership and the NAFA community that is evident in private communications as well as chats such as the one last night is an antagonistic attitude by leadership toward others. As someone mentioned in this blog, there is not only evasiveness by leadership to pointed questions asked by the NAFA community; there is also in response to some questions a level of unwarranted condescension and/or outright antagonism toward those who ask the questions. From the chat, for example, when the question was asked “…does NAFA know for certain the level of support from the NAFA community for the amount of money being spent on NAFA hosting the Canam? Given the cost for teams to get to the Canam, some teams cannot afford to participate” a member of the BoD made the comment “…embedded in those questions is the supposition that Canam is a loss leader”. This statement offered no answer to the question. It was not fact yet it was given as if it were the intent of the question. There was no value added by this comment. It appears antagonistic and as an attempt to put others on the defensive rather than provide an answer to a legitimate question. This is but one example. It is not the only instance. It is not a behavior of only one person. The behavior and attitude is repetitive and has been displayed by several people in NAFA leadership roles and BoD members. I believe this attitude is unprofessional and contrary to the definition of quality leadership. From my perspective, NAFA leadership needs to take a serious look at how and what it communicates in its private communications as well as the public forum.